I think I mentioned here before that I still get a kick out of seeing my photos on the cover of publications. Since I started doing some shameless self promotion in my last post, I thought I would continue by sharing some of our new covers over the next few days. 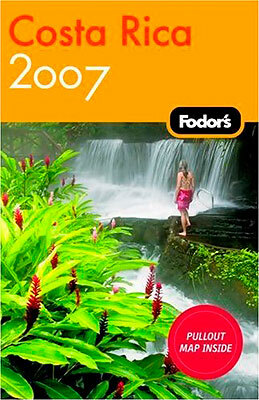 This cover of Fodor’s, along with the cover of Frommer’s Costa Rica 2007 are both from our trip to Costa Rica in 2004. I haven’t written about that wonderful trip here yet, but you can go to our main website to see more of our photos of Costa Rica. Frommer’s Costa Rica Travel Guide Cover!